In this scenario you need to implement a business rule that will change the business process flow & stage on the opportunity entity when the estimated revenue of the Opportunity is set to less than $1,000. 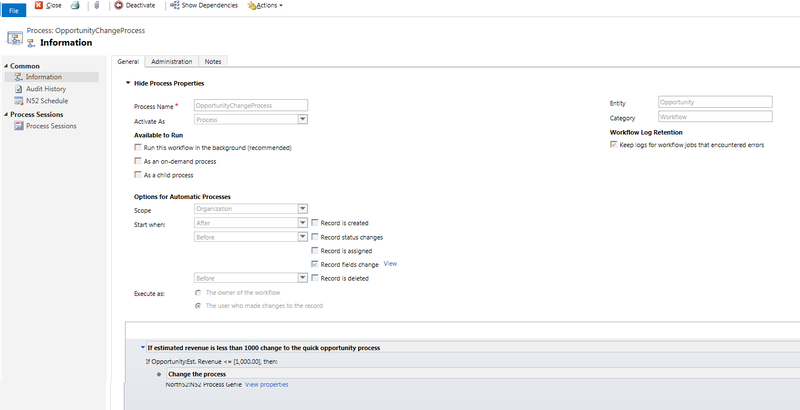 Create a new workflow within CRM where you add a condition to check that the estimated revenue is less that $1,000. 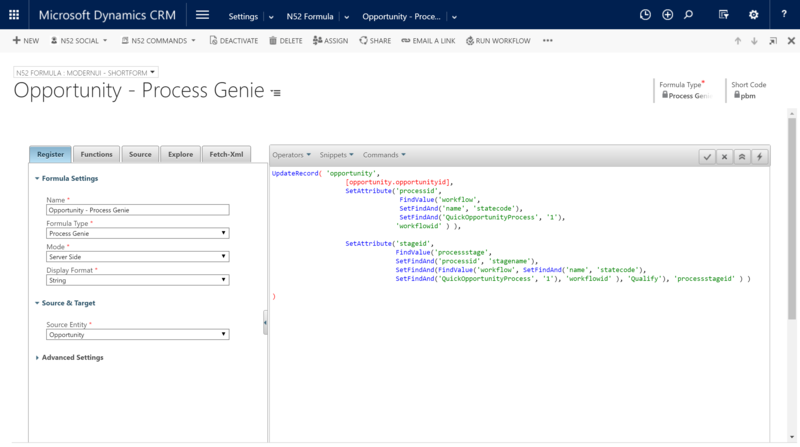 If it is less than $1,000 then use the custom workflow activity 'N52 Process Genie' to call the formula by passing in the short code from the formula. See the screenshot below for how this is setup. You can now test this on the Opportunity entity.